Lots of choices for you! Oh gosh, and they're all so cute!! Thank you!! Remember, you can switch around and use them all if you want! Thanks for leaving a comment as you picked yours up! I am posting the Patriotic/Fourth of July avatars that I have completed. If anyone would like one done and I have not posted you one, just leave me a post. If you have any requests, just leave me a post. I hope you all enjoy them. I had fun making them. I learned about midway how to make my own fireworks, and am very happy with them! I hope you all like them. I hope you all have a wonderful summer and enjoy the summer holidays! P.S. It will take me from 6-8 hours to post them all, so please be patient and wait until I announce that I have finished posting. I probably won't be finished until some time tomorrow. Thanks! Hey there Brandi I'm still here and posting could you make me one using my m&m guy?? Nice to see you Rowan! I'll work on yours today and post it a bit later today. Here are some patriotic ones for you. I hope you like at least one of them, and I hope we can use avatars again soon! If you have any suggestions or requests, let me know, as I am always open to requests! Want a Patriotic or Summer-themed avatar? It's been so long since I have posted that my avatar was Halloween! I've missed my monkey friends, you especially, and would love a new patriotic one for my monkey. But Brandi, I did something and deleted my old avi and don't know where the pic of my baby monkey is!! Whatever you come up with will be great I am sure. No rush and only do this if you have the time. I hope we get a chance to chat again. I think I stopped decorating your avatar after St. Patrick's Day, afraid you had left us! I am glad you are around! If you have any requests, always feel free to send them my way! It's me....InvisiTink.LMAO Just looking around,nice and comfy in here. Always appreciate your visits, Trimm! A couple of parting gifts, I think are small enough for use in your sig. Since I am not sure we will even be able to use our Fourth of July avatars before then. 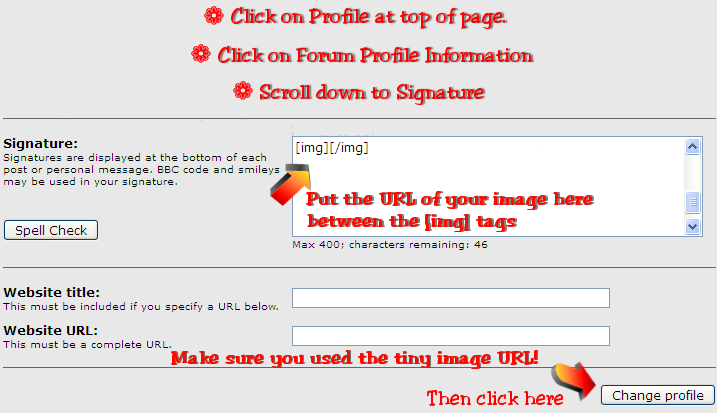 Since sig images are not hosted by SM, they take no bandwidth from the site. I know I gave you one of these already, but I made a few more also! Aww thanks Brandi, you are taking real good care of me and I appreciate it so much. I am glad you like them, tracygirl! I see you chose #2 in the list. But somehow I did skip over yours when I posted them. I made yours and loaded them to photobucket along with all the others, but somehow skipped yours when I was posting them here. I am so sorry. I'll go resize them now for sig images to use until we get avatars back. Feel free to use the sig image until avatars are restored on SM. Just please remove it when they are restored, unless you host it on your own photobucket account. I am getting worried about bandwidth issues on my photobucket account with so many hotlinking to images there. And some of the fourth of July avatars with fireworks are HUGE files, taking a lot of bandwidth. Searching, I am so sorry I omitted posting yours here. It's a huge endeavor posting them all for each occasion, and I am bound to mess up somewhere. I am very partial to you and your anti-Anthony helmet and always decorated you for every occasion! Thanks for letting me know that yours did not get posted. Have a great fourth of July, gf! Oh gosh now I feel so stupid. Thank you for making me a pic for my sig but I don't know how to post it so it comes out as a pic? Where do I put it? Just remember to delete it from your profile when avatars are restored to Scared Monkeys! Yeah! thanks Brandi, got it. I found this " Monkey" ..posted it once I think in JSM's cage. I don't know if you can use it. I just think this Monkey is " All that" --- OMG I love this face. Maybe a avi for a new user.